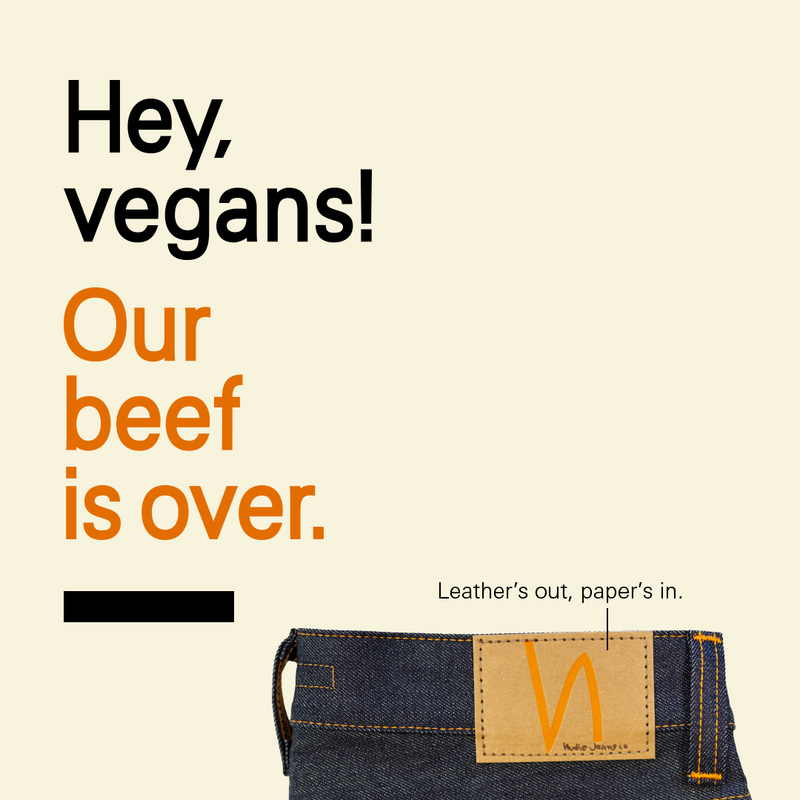 The beef is over – Nudie Jeans cuts leather back patch and replaces it with vegan alternative. 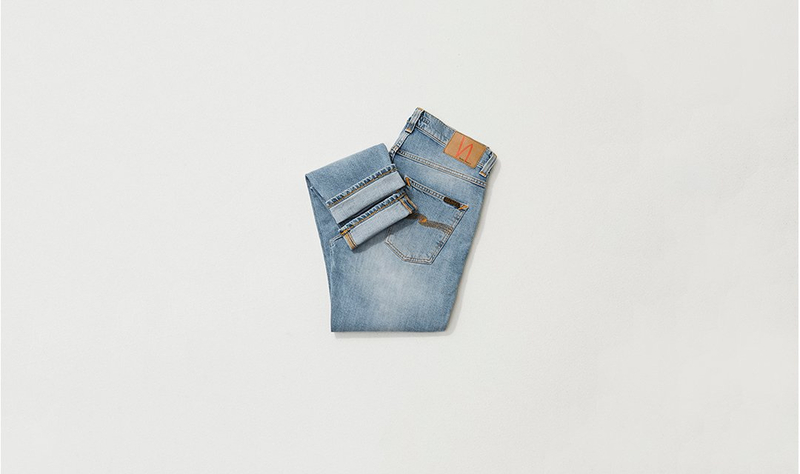 Nudie Jeans lets go of leather on denim and are moving on to patches made with recycled paper. “We are happy to now offer leather-free denim, and to give our customers the possibility to choose whether or not they want to wear leather.” States Eliina Brinkberg, Environmental manager at Nudie Jeans. “The Nudie Jeans sustainability journey continues and from Fall 2018 all newly produced denim will have a vegan back patch, giving the customers the possibility of choosing whether or not they want to wear leather, while still wearing great denim.” Says Eliina Brinkberg. Sustainability runs in the genes of Nudie Jeans. From working with 100% organic cotton, having a responsible and transparent production through to offering free repairs, selling second hand jeans and offering a trade-in program – the step towards a more sustainable back patch was an easy choice. Nudie Jeans have been looking for an alternative option to replace the leather patch for some time now. Dry denim grows more beautiful with time and the struggle has been to find a patch to match that. The patch needs to live through washes in production for the prewashed products, but also to live through long wear of the denim by the user, and eventually the reuse of the denim to prolong the life of the garment even more. The Jacron patch is made from recycled paper that include a small amount of acrylic polymer. “The added polymer is the least sustainable element with our new patches, but it was also necessary to be able to give the patch the strength needed for its longevity.” Says Eliina Brinkberg. Just as denim, leather ages well and the material encourages long perspective usage. And from that time perspective leather has an important part to play in the change towards a slower flow of resources and a much longer life for all products. But as we all know the leather industry has its backsides. “Even today the traceability of leather is difficult, and the production processes are resource intense. Not to mention the questionable and sometimes horrific situation for the animals. 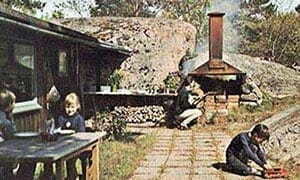 We know this, and we wanted to find an option were leather was not necessary.” Says Eliina Brinkberg.